A funky big band revolutionizes "The Search For Peace"
BT ALC Big Band seeks to breathe new life into big bands and music education with the release of their fourth album, dropping May 17. BOSTON (1 April 2019): Reaching back to the past in order to move a musical artform forward, the BT ALC Big Band turns loose the might and muscle of a 13-piece horn section to huff and puff and blow down any previously held conceptions of what a big band could be. The mission of the 19-piece Boston big band's forthcoming album, "The Search For Peace," is part passion, part music education and anything but peaceful. The bombardment of funk and jazz, written by trombonist Brian Thomas and trumpeter Alex Lee-Clark and produced by Alan Evans (Soulive), drops May 17 on Ropeadope. After researching big band recordings of the 1960s and 70s, Evans decided on an old-school approach to capture the high-volt energy of BT ALC Big Band's live performance. He propped up one omnidirectional microphone in front of each of the three horn sections - five saxophonists, four trumpeters and four trombonists - in the same studio as the rhythm and melody players, letting them rip through the seven compositions that comprise "The Search For Peace." 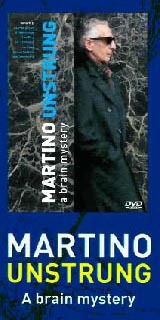 The result is an organic sound that jukes and jives, harnessing the vim and vigor of the powerful posse. The album encapsulates the group's vintage brand of rhythms and grooves they call "big band funk," an explosive mashup of Duke Ellington and Count Basie meets James Brown and Parliament Funkadelic. Listen closely and you'll detect some African funk and reggae inflections on this set as well. "In recent years, the music that most big bands play, either professional or student, falls into two categories: tributes to the music of the past or new art music meant for the concert hall. We want to play music that's new, accessible and culturally relevant; music that reflects the music we put on in the car when we're zooming around in our day-to-day lives. We want to take the great art form of the big band and breathe new life into it," said Thomas. But that's only half the outfit's mission. Lee-Clark explains, "Essential to this goal is updating the music we play when we're teaching young musicians. Most of us started out in a band like this in school, and it played a huge part in igniting our passion for music. We firmly believe that the best way we can keep igniting that passion is not just to teach them to play every standard big band chart with precision and good intonation, but to show how they themselves can create new music, how they can push the art forward. We want ‘The Search For Peace' to be a springboard for us to help bring big band music and music education into the present day." BT ALC Big Band walks the walk by regularly engaging in clinics, workshops and performances with students throughout New England. They make their charts available for study and have had their compositions performed at college, university and high school jazz ensembles in the region. Now they are thinking nationally. 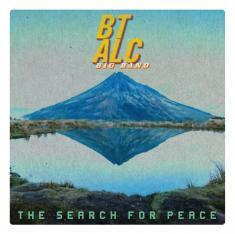 Priming the pump for "The Search For Peace," BT ALC Big Band dropped two standalone singles earlier this month, covers that tip their caps to some of their influences. Evans mans the drumkit on a percussive-heavy excursion through The Meters' "Africa." On a superfly take on Fred Wesley & The J.B.'s "Damn Right I'm Somebody," an incendiary tenor sax throwdown erupts between Mike Tucker and Tucker Antell. "The Search For Peace" will be launched with an album release concert in Boston on the release date (May 17) at City Winery. After the record streets, BT ALC Big Band will play a residency at Sally O'Brien's in nearby Somerville on May 20, June 27, July 25, August 29 and September 26. BT ALC Big Band issued their debut album in 2013, "Superhero Dance Party." Three years later, they dropped the two-volume "The Herd Sessions." Thomas and Lee-Clark met while studying music at UMass Amherst and have been collaborating ever since. For more information, please visit https://btalc.com.